Who wouldn’t want a completely custom kitchen? The first thing that people think of when redoing their kitchen is the cabinets. However, custom kitchen cabinets can come with a steep price anywhere from $6,000 to over $20,000 and beyond depending on what extras you tack on. Many RTA cabinet lines offer an array of specialty cabinets that will give you the options you want without the hefty price tag. Check out our Ready-to-Assemble cabinets! But first, let’s compare. The kitchen is often the center hub of a home. All of the cooking and most of the eating is done there, entertaining is done there, and family time collects there. That’s why you never want your kitchen to be out of date. If you’re looking to spruce up your kitchen what better way than updating the cabinets? Why consider Ready-to-Assemble (RTA) cabinets? You can find what you want at the price you need. Here are some factors to consider when talking about RTA cabinets. Why not buy custom-built cabinets? Custom-built cabinets are a beautiful luxury for any kitchen, but they come with a hefty price tag. With custom cabinets you often have to wait a long time from ordering before you receive them on top of the higher prices. You can get the same beauty from RTA cabinets at a fraction of the cost. RTA cabinets are perfect for any renovation on a budget. Not only are RTA cabinets reasonably priced but you also get tons of options. Because you can order them you don’t have to stick to the already assembled cabinets that stores may carry in a limited selection. When you walk into a home improvement store they will have cabinets you can pick out and take home right away, but you will be extremely limited on choices. With our huge selection of cabinets you will easily find what fits you and your home best. If you are a Do-It-Yourself type then you will love RTA cabinets! RTA cabinets are easy to assemble yourself (but that doesn’t stop you from hiring a professional if that’s what you prefer). They come to your door and offer easy assembly and installation. If you are looking to update your kitchen on a budget this is the solution for you, especially if you love a project. We make it easy and simple for you to do it all yourself. We even have videos to help you along! Spring is coming and that can mean only one thing: Spring cleaning! The place to start is with your kitchen. The kitchen is the hub of any home but it can also be the messiest. It is where we cook, bake, and eat. This is where we congregate as families and where we talk with friends over coffee. It seems like the perfect place to start, especially the cabinets. Kitchen cabinets tend to get a little greasy from all of the cooking and activity. To give your cabinets that old shine try using oil. Mineral oil or even just vegetable oil takes the grease off of your cabinet surfaces but will also give them a beautiful sheen. But it’s not just the outside that matters. Organization is the perfect way to keep away the clutter and mess. Among our products you will find any organization tool you might need. Whether your pots and pans are a clanking mess or your plastic ware are a cluttered avalanche every time you open the cabinet door, we can help. You can make next year’s spring cleaning easier by staying organized all year long. After a long, hard winter treat your home to a refresh with these helpful organization products and many more found at Custom Service Hardware. Use our corner lazy Susan to keep things like plastic ware containers in their place. Put lids on one shelf and stack the bins on another. Keep your spices or smaller kitchenware within easy reach with our pull out base organizer. Nothing is as frustrating as the clashing of pots and pans when you can’t find the one you need. Keep your cookware and lids organized with our two-tier cookware organizer. Innovative, elegant, and effortless, Blum hinges have become one of the most popular upgrades for remodeling home kitchen cabinets. Having been in the business for over 60 years, Blum is one of the most trusted and respected names in the industry. Now, with their leading-edge Blumotion design, Blum hinges are one of the most in-demand features for a beautifully functional kitchen. Blum knows kitchens, and they design their products with the vision of maximizing your kitchen’s potential. Studying the workflow of kitchen users, Blum’s designs encourage better work flow with a focus on streamlined ergonomic interfacing with your kitchen hardware. One of our favorites in 2014, Blum Aventos Cabinet Doors Lift Systems are a particularly innovative kitchen cabinet feature: for cabinets parallel to countertops, these lift systems provide effortless opening, closing, and stopping. 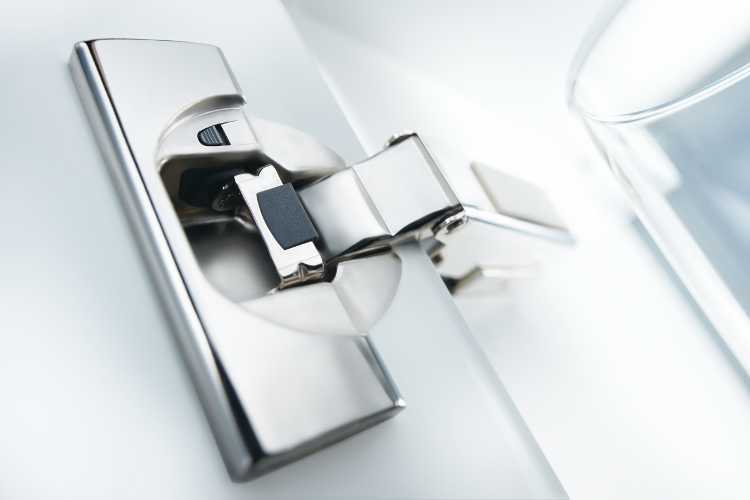 We offer a wide selection of Blum Aventos lift system packages, as well as individual parts and components. For more quality Blum products, check out our Blum page at CSHardware.com. Let us know in comments or on social media why you love Blum cabinet and drawer hinges, too! One of the favorites of 2014 has been Blum’s Aventos lift systems and related components. This is a premium functional hardware option for your upper cabinets, perfect above kitchen sinks and other counter space. Part Two in this Series, this week we look at how to make the most of an oft-crowded space: your closet. Whether you have a sprawling boudoir or a compact NYC apartment with “less-than adequate” space, here are some tips for you. Being organized has its advantages, all throughout your home. How many of us have a not-quite-so-functional closet, either too small or too cluttered? Here are some great ideas on how to use a little bit of creativity and some cleverness to make the most out of your closet storage space. With the holiday cooking season upon us, it’s time to make the most of the space we have available. This week we focus on kitchen cabinets and shelving, next week closet storage space. Being organized has its advantages, all throughout your home. “Finally, all done with cooking – now where is that glass container? What about the cinnamon — there it is, oh wait, it’s cumin!” Sound familiar? Then it’s time to get organized. Remodeling or upgrading kitchen cabinets is a great step towards perfecting your home’s kitchen, but having a functional workspace to craft your culinary concoctions is indispensable. This week we want to feature some great ways to streamline your kitchen cabinets and shelving – the more focus is on the joy of cooking, and the less on where the utensils are, the better. Especially if you’ve got a house full of family – or will be cooking for one! With a little bit of effort, cabinet space can be maximized – using both the interior as well as the door. These white storage trays are an example of either direct mounting or using convenient accessory brackets. Satisfied Customer: Great RTA Cabinets and Outstanding Customer Service! Remodeling your home can be easy, cost-effective, and even enjoyable – when you have beautiful cabinetry and great customer service! 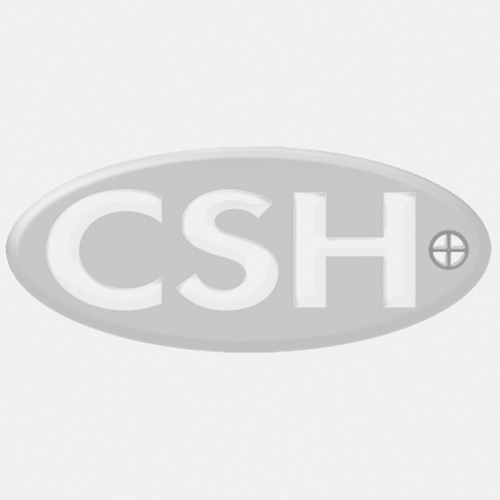 Ready To Assemble cabinets from CS Hardware can help make that process smooth and efficient. The kitchen is often the focal point of the home, and spending extra time crafting the perfect design is well worth the effort. Most people like to create a theme with their kitchen cabinet layout, including specific choices on hardware and finish. The newest trend on the block is “bejeweled kitchens” that mimic the glamour of a regal home without the cost. Here we take a look at the ways you can transform your kitchen into a jewel of a room. Gemstone colors are bright, but you can use them sparingly if you’d still like to present a traditional kitchen look. This trend can be adapted for any personal taste. The easiest step: paint the cabinets! Whether you prefer a vibrant green jade or a deep smoky quartz, painting your kitchen cabinets is the first step to a bejeweled kitchen. Go full force and paint the cabinets in full, or consider using a jewel tone as a framing color for just a splash. Adding elegant accents such as brass or chrome door pulls and lighting fixtures will add to the gemstone coloring. Unusual lights or faucets will add to the older-era feel. Sleek and colorful granite countertops provide a way to inject color into your kitchen. Depending on the color desired you may have to search but there is a good selection of blue, red, green, and other combinations to discover. Alternately, a backsplash behind the counter can offer some shine. Typically silver or gold, backsplashes can add a bit of glamour. See the examples below to discover new ideas! While bejeweled kitchens may be on-trend, choosing just a few jewel tones here and there is a great way to create a new subtle look. Are you going to jump on the bejeweled trend for your kitchen design? Tell us about it! Share you pictures here, or with us on our Bejeweled Kitchens Pinterest board. We’d love to see what you come up with!